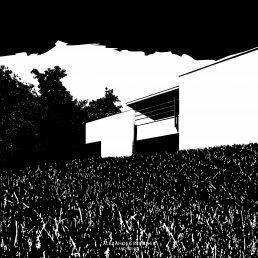 At the Gallery Parrotta Contemporary Art an exhibition on the Stuttgart architect Alexander Brenner was shown from July 11 – July 31, 2008, where the architectural setting of the gallery in its function as a shell for art itself has been made subject of discussion. 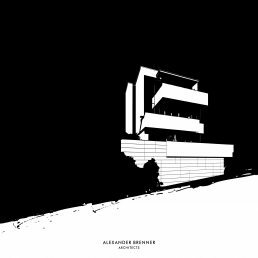 With his design vocabulary Alexander Brenner has created a very concise special concept for our exhibition rooms. 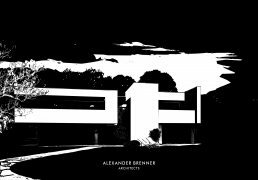 Together with his team and with great sensitivity for the history of this place and the requirements of displaying art he has changed a factory floor into a gallery with a unique structure and tectonics. 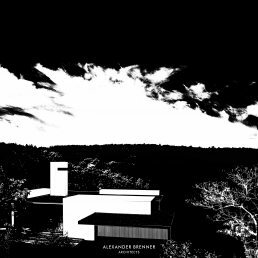 With an exhibition concept that has specifically been designed for our gallery Alexander Brenner presented selected projects under the title “houses“. 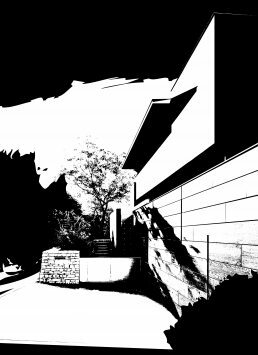 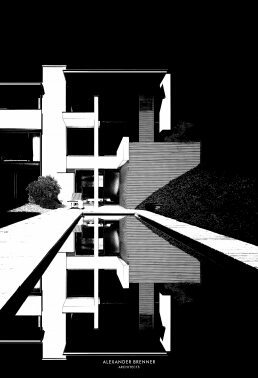 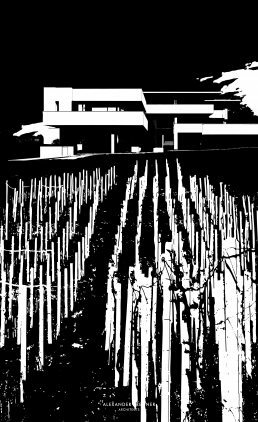 The black and white graphics he has made pick out the houses, whose context has been abstracted to their essence, as their central theme. 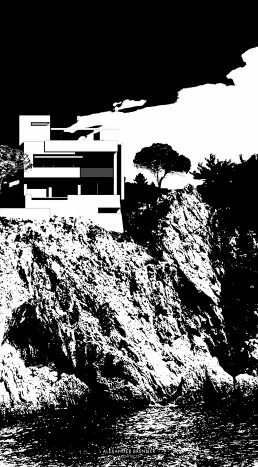 These graphically contrasting translations of the projects make the nature of the physical aspects of his edifices become very intensely visible.